Diego Simeone has praised both Roma and his side for their efforts in the 0-0 Champions League draw on Tuesday evening. 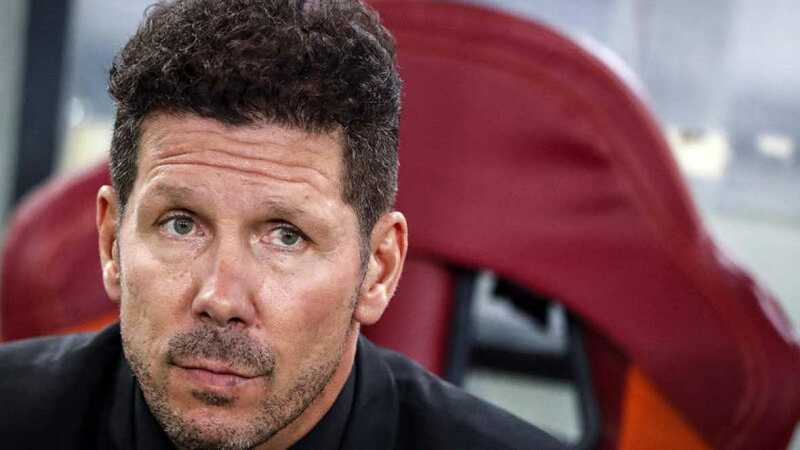 Simeone spoke much about his desire to win the Champions League this season before the trip to the Stadio Olimpico but his side failed to break down the Italians in what was a fairly even encounter. Roma were making their return to the Champions League after a year’s absence and they made a good account of themselves against an experienced Atleti. Antoine Griezmann, returning from a suspension in the league had an early chance as did impressive youngster Saul Niguez but both wasted their opportunity. The visitors had another superb chance in the first half to make the breakthrough when Koke came close only to be denied by centre-back Konstantinos Manolas, who cleared the ball off the goal line. Roma’s best chance of the half came through defensive midfielder Radja Nainggolan, who sent a powerful effort towards Jan Oblak’s goal but the keeper stood strong and saved well. Very few changes in the second half saw the game eventually end 0-0. “You saw a team that played a well-thought-out game, believing in what they were doing,” the Coach said after the game. “We tried to pressure them in midfield, had two or three good chances in the first half, then as Roma got tired, we tried to step up the pace. Unfortunately, we were missing a goal, but I appreciated the philosophy and the performance. “We have to compliment the goalkeeper as Alisson did a great job. The shots were on target, aside from Saul hitting the woodwork, as otherwise he had saves on Koke, two or three on Saul – he had a wonderful performance. The most important thing in football is not aesthetics but goals, and we lacked a goal, so Roma deserved their point. In the other group game – Chelsea were too good for FC Qarabag, beating the Azerbaijan champions 6-0 in a game which saw former Barcelona winger Pedro Rodriguez get on the score sheet. Worrying times for Reading FC?